The Canadian Rockies have drawn visitors from around the globe for over one hundred years. Curious travelers come to the mountains for the towering peaks, glacial lakes and charming mountain towns, hoping that during their stay they might experience a hint of the exploration and adventure that the Rockies have become known for. And whether the mountains are capped with snow or dotted with wildflowers, the excitement and wonder they instill is timeless. 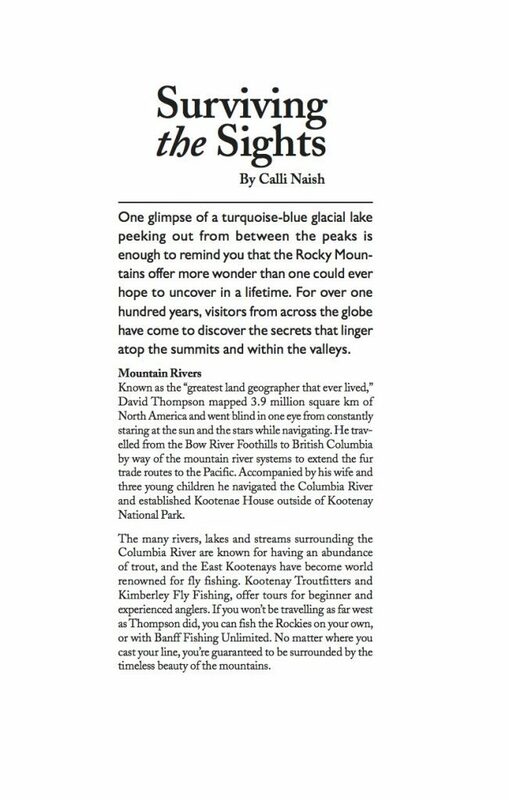 “Surviving the Sights” is a short collection of travel stories of the early explorers that inspire contemporary wilderness adventures.